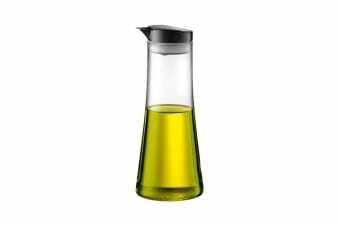 The Bodum Oil or Vinegar Dispenser comes with a pointy plastic beak which cuts the flow of oil and vinegar very precisely – hence, no messy tables. 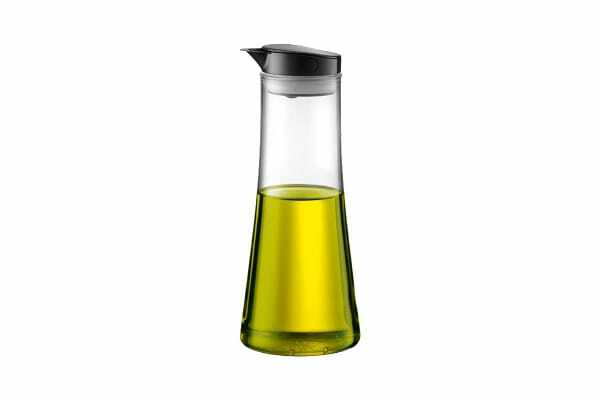 The Bodum Oil or Vinegar Dispenser is made from plastic, silicone and borosilicate glass. A little silicone ball in the lid closes the dispenser when it’s standing upright and then moves up to open the lid when the bottle is tilted, allowing for easy pouring.